Stunning new construction home from Regency Homes featuring beautiful architectural design and details. Desirable main floor master suite with spa-like bath. Upper level features three additional bedrooms and en-suite baths, plus vaulted loft for play/media room. Laundry ideally found on both main and upper levels. Main floor offers open concept living/kitchen areas, pantry and designated home office space. Finished lower level with family rec space, exercise room and the home's fifth bedroom. 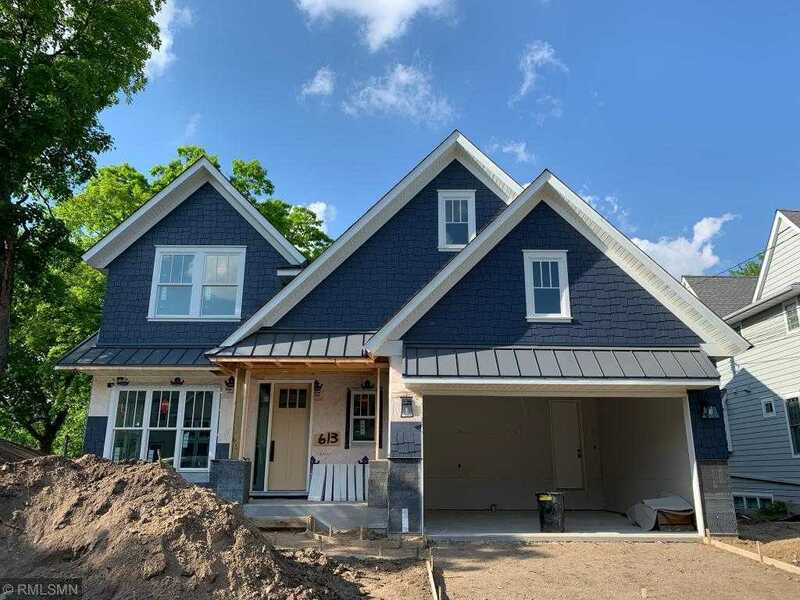 Located in a charming and highly sought-after area of Wayzata with many other new construction homes. Walk into Wayzata to enjoy dining, shopping festivals, community concerts and Lake Minnetonka. Please, send me more information on this property: MLS# 5130478 – $1,476,600 – 613 Gardner Street, Wayzata, MN 55391.